Principally in the USA and Australia, there has been considerable success in restoring seagrass in clear coastal and estuarine waters. For instance, in Long Island Sound, New York, eelgrass is being replanted in a checkboard pattern consisting of squares 0.5 m by 0.5 m, alternating between unplanted and planted quadrats at 50 shoots per square. Shoots were harvested from natural, healthy donor beds and tied to jute sheets stretched between PVC pipes. These artificial beds are laid on the bottom, thereby avoiding hand planting that would stir up the sediment and reduce visibility. The jute mesh silts over and the plant establishes itself firmly. The method fails where ambient water is too turbid. To overcome this pitfall, tests are underway to co plant eelgrass and shell fish (e.g., mussels) with the idea that shellfish feed by filtering the water and pelletizing the particulate matter. This results in improving water clarity, which in turn may improve eelgrass survival and growth. This remediation technology is still being tested and the results are not yet available to assess its suitability. Replanting seagrass in areas with high wave energy, even if occasionally energetic, has until recently been a failure with zero survival after 2 years. A new technology has however been developed in Western Australia where a large underwater machine is driven along the bottom over healthy seagrass (Posidonia coriacea and Amphibolis griffithii) beds. The machine extracts large pods with their surround ing sediment, places them in containers, and drives them underwater to the planting areas where they are planted with the original soil around them. The results suggest a mean survival rate of 70% over 3 years. It does require of course clear waters. 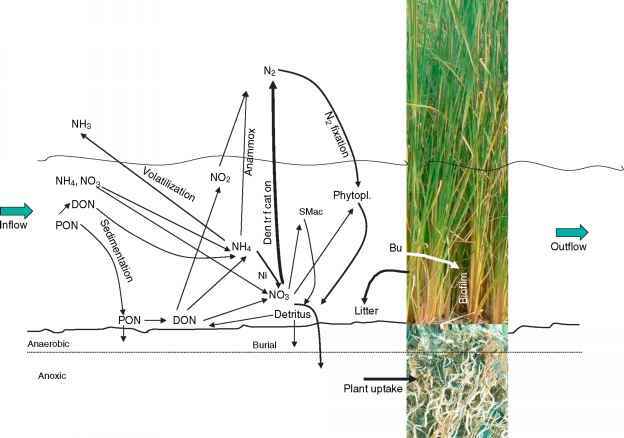 The technology is too new to assess if the normal ecosystem functions of seagrass are restored.